We breathe without even being aware of it. But during pregnancy, the very act of breathing can help us sail through the tedious nine months and hours of ‘back-breaking’ labor! The problem is that most of us don’t really know how to breathe ‘right’. Pay attention to your body and you’ll see that you are taking shallow breaths. But during pregnancy you need deep breaths. But deep breathing takes practice to perfect. There are a few breathing exercises in pregnancy that you can try. The exercises may look easy now, but as your uterus grows, you’ll realize breathing isn’t that easy! So, start practicing these breathing exercises for pregnant women today. Whether it is yoga, Pilates or tai chi – abdominal breathing forms the foundation of a good workout session. This form of breathing helps to expand the lungs and breath in more air. It also strengthens the abdominal muscles. Lie down with your back to the ground and knees bent. During the later stages of your pregnancy, try lying on your side. Get a cushion to make it more comfortable. Now, place your right hand on the belly and the left on your chest. You’ll feel your abdomen push your hand up. Your chest should be still during this process. Next, breathe out. You will feel your belly deflating when you exhale. When you count your breaths, you can help your body and mind relax. It is a great exercise and will come handy during labor! Place one hand on your belly while the other rests on your chest. Breathe in deeply to a count of five. Hold your breath for a count of eight. Now breath out slowly, to a count of nine. Try to push all the air out of your lungs as you breathe out. Simultaneously, try and relax your body. Roll breathing allows you to use your lungs to its optimum capacity. It also helps you get in tune with your breathing rhythm. This is one particular breathing exercise during pregnancy, which offers a great way to relax your achy muscles! Begin as you did in the abdominal breathing exercise – supine, with one hand on your belly and the other on your chest. Repeat deep breathing for eight to ten breathing cycles. If you pay attention, you’ll notice that your abdomen will rise and then fall back while your chest rises – almost like a rolling wave. As you breathe out, make a whooshing sound as both your hands go down. Apart from deep breathing exercises, there are few yogic breathing techniques during pregnancy that can help you. The best yogic exercise to try is ujjayi breathing. You can maximize your body’s energy level with this particular yogic breathing exercise. Breathe in and out deeply through your nose. As you breathe in, the air will make a hissing noise. As you breathe out, constrict your throat and make the sound of the ocean. Why do we need to breathe right during pregnancy? Let’s find out! 1. As your baby grows, your body requires more oxygen to function at its optimum. Your baby too needs adequate oxygen to grow properly. Shallow breathing is not sufficient to provide the body with ample oxygen. But with these breathing exercises, your body will get the oxygen it needs. 2. Anxiety and stress are a part of the whole pregnancy experience. With breathing exercises, you can stay calm and de-stress. 3. As you deep breathe, you provide your body with more oxygen. This in turn provides relief from achy joints and muscles. 4. 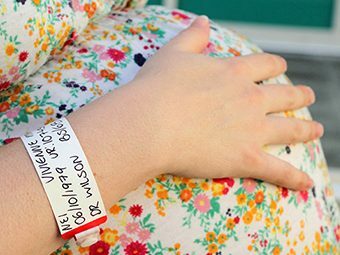 The one thing most pregnant women dread is labor. But if you practice breathing exercises regularly, labor won’t be such a huge battle. It will allow you to manage your contractions and labor pain better. 5. 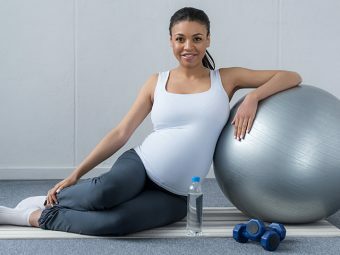 Most importantly, these exercises will help you stay ‘present’ during your pregnancy and labor. They will allow you to enjoy the miracle that’s childbirth. If you want to learn breathing exercises for a smooth pregnancy, you and your partner can join a birthing or Lamaze class. They will equip you with the tools you need. Or you can even find some videos online and take a short online course. Bottom line is: You need to breathe right to enjoy your pregnancy. Not just that, you’ll need lot of deep breathing during the stressful days that will follow! Did deep breathing help you? Share your stories with us! source : “Better Birth: The Ultimate Guide to Childbirth from Home Births to Hospitals” by Denise Spatafora.